At Wasatch Midwifery, we know your birth plan is personal, and we want to help you make the best decision for your baby and your body. With this in mind, we would like to explain the benefits of natural childbirth in Salt Lake City. Without an epidural, you are able to move freely during labor. Natural childbirth lets you listen to your body and respond to your natural instincts. That being said, you can find a laboring position that’s more comfortable. Keep in mind that an epidural requires the need for a catheter, so don’t plan on laboring on the toilet. There are many ways in which natural childbirth can be safer for your baby. Babies delivered naturally receive increased energy from stable levels of blood sugar. They receive an increased amount of oxygen from natural hormones. Finally, studies have shown that they develop stronger immune systems. 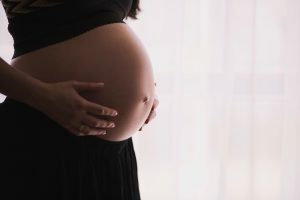 Many women feel a strong sense of empowerment from a natural birth because they are more connected to their bodies throughout the birthing process. Instead of dull senses, yours will be heightened, allowing you to be present throughout the natural childbirth. Babies born through natural childbirth are typically more alert and show greater interest in breastfeeding. Unfortunately, laboring medication can pass to your baby in low doses, making them less responsive and cause difficulty latching or uncoordinated sucking. Without strong medications and epidurals, most women feel alert after delivery. In fact, many will feel capable of walking around or taking a shower a short while after. The release of natural endorphins is both calming and pain-relieving, and tests have shown that your body won’t release as many with pain medication. Pain medications can interfere with your body’s natural response to labor, slowing down the process. Some women, for example, miss their contractions entirely, or they can’t properly push. Natural childbirth allows women to listen to their body and interpret its signals to speed up the labor. Additionally, epidurals and other medications often increase the need for invasive procedures, including Pitocin drips, forceps, or even Cesarean-sections. To find out if natural childbirth is right for you and your baby, speak to the experts at Wasatch Midwifery. We will go over your specific needs and help you decide upon the right birthing process. What Can Mothers Refuse During Pregnancy?